After just over 25 years in Canada, Inniskillin Okanagan winemaker Sandor Mayer is returning to his native Hungary in September. Sandor has good winery contacts in Hungary and plans to pursue opportunities there. He leaves a considerable hole in the Okanagan’s winemaking talent pool. At times, the weight of his contribution has not always been fully appreciated, perhaps because of his low-key personality and – unusual for a winemaker – his lack of ego. Among his peers, he is highly respected. Sandor was born in 1958 in the Hungarian village of Jánoshalma. He began making wine with his father when he was 14. He spent four years studying horticulture and viticulture at a technical high school and moved on to college for a bachelor’s degree in enology and viticulture in 1981 from the University of Kecskemét. After three years of mandatory service in the army, he took over an advanced position in the Central Research Station at Kecskemét in 1984 and worked with a leading Hungarian grape researcher. Two years later, he took a job as a vineyard manager in the Lake Balaton region in central Hungary. When neither the salary nor the opportunities were adequate, he and his wife, Andrea (a graduate of the same university) slipped out of Hungary in 1987 to work in Austria’s Burgenland wine region. An uncle in the Okanagan sponsored their emigration to Canada in 1988. It was not a propitious time to find work in his field because few jobs were available. 1988 was the year when two-thirds of the vineyards in the Okanagan were pulled out because the hybrid varieties then being grown were judged too mediocre to compete with the wines from California after the free trade agreement took effect. However, Sandor found a short-term vineyard management job in 1989 with Boucherie Mountain Vineyard, the predecessor to Quails’ Gate Estate Winery. There, Sandor’s knowledge of making wine from botrytis grapes triggered the creation of one of the Okanagan’s great dessert wines, the Quails’ Gate Totally Botrytis-Affected Optima. Botrytis is a fungus also known as noble rot that, in the right weather conditions, dehydrates grapes and concentrates the flavours and the sugar. The fungus flourishes in misty mornings followed by dry afternoons. It is rare in the Okanagan, where the weather is dry and where, when it rains near harvest, growers take measures to prevent rot of any kind. The vineyard at Quails’ Gate is near the lake and parts of it are susceptible to botrytis. Quails’ Gate founding president Ben Stewart thought it was nasty rot until Sandor arrived. In 1990 Sandor found one of the few permanent jobs then available in the valley: replanting the 23-acre vineyard for Okanagan Vineyards south of Oliver. The vineyard was a failed winery which had been taken over by Alan Tyabji. The vines had all been pulled out in 1988. Before it could be replanted, Sandor cleared away a tangle of trellis wires, posts, vines and waist high grass. A fire to deal with grass and dead vines burned out of control. Quick work by the Oliver fire department bailed Sandor out. Against “expert” advice, the Dark Horse Vineyard (as it came to be called) was planted entirely to vinifera, with Cabernet Sauvignon being especially successful. He regards planting Dark Horse Vineyard and making wines from it his greatest accomplishment in the Okanagan, far greater than some of the many awards his wines have won. "Everybody wins medals," he says modestly. Okanagan Vineyards was acquired in 1996 by Inniskillin Wines, one of the stable of wineries owned by Vincor, then Canada’s largest wine company. Subsequently, Vincor developed about 800 acres of vineyard in the south Okanagan. These included small blocks of varieties that were experimental in the Okanagan, such as Zinfandel. Sandor was assigned to make the wines from these varieties for what Inniskillin Okanagan called its acclaimed Discovery Series. It played to one of his strengths: in Hungary, he made many experimental wines to prove up new varieties. The Discovery Series was launched in the 2002 vintage with the Okanagan’s first Zinfandel. The program grew to include varieties such as Malbec, Tempranillo, Chenin Blanc, Roussanne and Marsanne. Sandor’s return to Hungary at this time also may have been spurred when Constellation Brands (which took over Vincor) closed the aging Inniskillin winery last winter. It is now used by Constellation’s viticulture team. Both Inniskillin’s production and the tasting room have moved to the Jackson-Triggs winery north of Oliver, no doubt changing the winemaker’s duties and responsibilities. Throughout his Okanagan career, Sandor has been generous with other winemakers who sought to tap his expertise. He goes back to grow grapes in Hungary but retains great pride in the Okanagan. “I am taking back with me the biggest respect for the Okanagan Valley, and I will tell my colleagues about this region,” he promises. During the past three years, Okanagan Crush Pad Winery has made a huge investment in concrete tanks for fermenting and aging wines. In 2011, a year after opening, the Summerland winery installed six California-made concrete eggs, each with the capacity of 2,000 litres. Last year, the winery added eight 4,400-litre concrete tanks made by Nico Velo, a manufacturer in Italy. Nico Velo has also supplied concrete tanks to the Italian winery of Alberto Antonini (below), the consultant who recommended the use of concrete to OCP. Alberto was on hand three years ago when the eggs arrived and explained his advocacy of concrete rather dramatically. Several other Okanagan wineries have installed some concrete eggs in the past two years. None has made a more extensive the commitment than OCP has made to this winemaking technology. Concrete tanks are an example of the old becoming new. Before stainless steel was invented (about 1913), it was routine to find concrete tanks (sometimes glass lined) as well as large wooden vats in most wineries. Rust-resistant stainless steel tanks became ubiquitous because they are far easier to clean and, if desired, to sterilize than wood or concrete. However, the advocates of concrete believe that the risks around cleanliness can be managed – and the benefits in wine quality are worth taking the risk. “Pretty much everything in the Haywire portfolio is now in concrete,” says Matt Dumayne, one of the winemakers at OCP. Haywire is the winery’s major brand. He explains the perceived benefit of fermenting and aging in concrete: “What we have found in the last couple of years is that it really enhances creaminess, mouthfeel and texture.” He also believes that the wines express the terroir better. Last year, he did three trial lots of Chardonnay – one in barrel, one in stainless steel and one in concrete. OCP has now begun releasing wines “raised” in concrete, leaving consumers to decide whether or not these are better than wines raised in stainless steel or barrels. The British Columbia Liquor Distribution Branch is on board. The LDB ordered 1,000 cases of Haywire White Label Pinot Gris. This is OCP’s biggest sale yet to the LDB. The wine will be available in many liquor stores for the next four months. Here are notes on current Haywire wines. Haywire White Label Pinot Gris 2013 ($19.90). In general, white label signifies wines made from grapes grown for Haywire by contracted vineyards. This wine displays the textural generosity of a wine raised in concrete. It is juicy on the palate, with refreshing acidity and with aromas and flavours of citrus and pear. The finish is dry. 89. Haywire Sauvignon Blanc 2013 ($22.90). The grapes are from a Summerland vineyard managed by OCP. Matt says the wine “is 100% native ferment [with wild yeast] in concrete. It is very different – 100% Sauvignon Blanc but it has a lot of funk to it.” I am not quite sure what funk might be. I find tropical fruit aromas with flavours of lime and grapefruit. The wine shows some mineral notes but the texture again is juicy and the finish is crisp. 90. Haywire Rosé 2013 ($19.90). This is not yet released because the winery believes in giving its rosé wines some bottle age. This is made with Gamay Noir. The wine was fermented and aged six or seven months in concrete eggs. Once again, the texture is juicy, with aromas and flavours of strawberry and cherry. The finish is dry. 90. Haywire White Label Pinot Noir 2012 ($22.90). This is also available in the LDB. The grapes are from the Secrest Vineyard near Oliver, a vineyard with which OCP has a long-term contract. This wine was fermented in stainless steel and aged in neutral oak barrels, preserving the delicacy and the charm of its aromas and savoury cherry flavours. The texture is silky. 90. A vintage-dated big brother, simply called Bub, is still aging in bottle. The winery made 1,200 cases in the 2013 vintage, along with another 100 cases of “Ancient Method.” That is a bone dry sparkling wine, made without the usual additional of sugar because the wine is allowed to finish bottle fermentation just with its natural sugar. Kelowna’s Robert Mackenzie is the architect of record for Maverick Estate Winery’s new wine shop – with a design capturing subtle notes of Cape wineries in South Africa. The white stucco exterior and the tin roof are especially evocative of Cape wineries with which the winery owners and their families are familiar. Schalk de Witt is a doctor from South Africa who has been practising in Alberta and British Columbia for many years. Winemaker Bertus Albertyn is a 1978 graduate of Stellenbosch University who came to the Okanagan in 2009, after marrying Schalk’s daughter, who is also a doctor. It proved to be a very convenient marriage (as opposed to marriage of convenience) for Schalk. He owns two parcels of vineyard land in the south Okanagan, one purchased in 2006 and the other, now occupied by the winery, in 2009. Having an experienced winemaker in the family allows him to unlock the potential of that vineyard real estate. Bertus (left) spent four years as the winemaker at Burrowing Owl Estate Winery before leaving in mid-2013 to focus on Maverick. Concurrent with that career, he and Schalk converted the 2009 purchase – a former organic farm – into a 7 ½-acre vineyard planted to Pinot Noir, Shiraz, Sauvignon Blanc and Chardonnay. Planting is scheduled for the nearby second property, 15 acres in size, in 2015. “The vineyard is doing really well,” says Bertus, who was able to produce 2,800 cases in the 2013 vintage with purchased fruit as well as with grapes from Maverick’s planting. While Bertus and Schalk converted former farm buildings in a winemaking facility, they decided to build totally new wine shop. Visually, the 1,500-square foot building announces that Maverick is a must-visit winery. The wine shop is perched on the west side of Highway 97, midway between Oliver and Osoyoos. The wine shop’s expansive windows look out on vineyards and farm. The wine shop opened with three very interesting white wines, with a red blend and a port-style wine scheduled for release later in the year. Maverick Sauvignon Blanc 2013 ($19 for 500 cases). The winemaking here involves great attention to detail, beginning with picking the grapes by hand into 30 pound trays; cooling them to 5-8 Celsius before pressing whole bunches; and then leaving the juice in contact with the skins for eight hours. The free run juice is fermented cool in stainless steel to preserve vibrant fruit flavours and aromas. The press wine, about 25% of the volume, is fermented in used French oak barrels and left on lees for three months before being blended with the free run portion. And did I mention it? Bertus sometimes ferments with natural yeast! The style of this wine recalls good Sancerre. The wine begins with aromas of herbs and lime, leading to flavours of lime and grapefruit. The wine’s bright acidity gives it a tangy and refreshing finish. 91. Maverick Pinot Gris 2013 ($19 for 270 cases). The winemaking techniques again are detail-driven, including hand picking, whole bunch pressing and gentle pressing. A quarter of the wine was fermented, with natural yeast, in old French oak. When fermentation is complete, the wine is racked and blended and then aged on the fine lees for three months to enhance its texture and eight on the palate. There is also 10% Gewürztraminer in the blend. The wine begins with aromas of grapefruit and pear, leading to flavours of pear and apple. The winery describes the style as “unadorned” with mineral notes on the finish. This is such a complex wine that I would recommend decanting to fully liberate the fruit flavours. 90. Maverick Origin 2013 ($16 for 170 cases). The winemaking techniques are quite similar to those used to make the Sauvignon Blanc. This is 60% Gewürztraminer, 40% Sauvignon Blanc. A quarter of the blend was aged in used French oak barrels to enhance the texture. This is the winery’s third vintage of wine, which is packed with tropical fruit aromas and flavours. The wine has a luscious honeyed texture, with citrus and melon flavours and a crisp, spicy finish. 90. This summer, the fans of winemaker Bradley Cooper will be drinking his final vintage for Township 7 Vineyards and Winery. Brad, who had been with Township 7 for nine vintages, has just joined Serendipity Winery at Naramata. While there has been no reason given for his decision to move on, Township 7 came under new (silent) ownership earlier this year. It is possible that the new owners are not as comfortable as the previous owners with a winemaker who also has his own label. After an earlier career as a photojournalist, Brad became involved with the Okanagan wine business in 1997. “I started out in the wine shop at Hawthorne Mountain [now See Ya Later Ranch],” he says. He had briefly considered a different career change by taking a greenskeeping courses at Okanagan College. It was full; that turned out to be a stroke of luck because Brad spotted the newly-offered winery assistant program in the same catalogue. 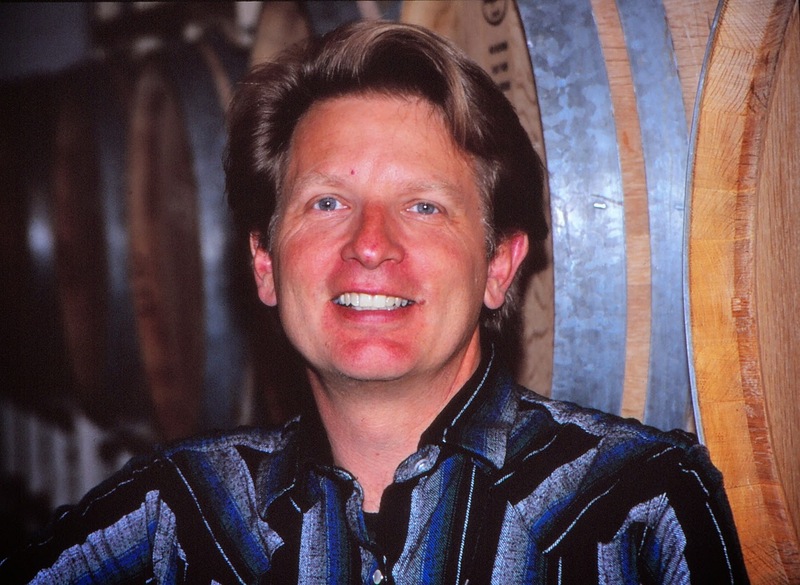 In 2002, he left Hawthorne Mountain to join the winemaking team at Mt. Baker Vineyards in Washington State. He returned to the Okanagan in time for the 2003 vintage at Stag’s Hollow and then joined Township 7 in 2004. At Serendipity, he takes over from Richard Kanazawa who also has his own label and whose ambitions were also tolerated by Serendipity, but not by several of Richard’s previous employers. Richard has now leased a vineyard and is getting a license for Kanazawa Wines. Township 7 has not announced who is taking over from Brad. Mike Raffan, the former Township 7 owner and still the general manager, has been working through a number of resumes from winemakers in Washington State, Ontario and the Okanagan. Here are notes on the current Township 7 releases. Some of the limited production wines are offered only to the Township 7 wine club. Township 7 Pinot Gris 2013 ($19.99 for 148 cases). This wine is 85% Pinot Gris, 15% Gewürztraminer, the latter to pop the spice in the peachy aroma. Cool-fermented for 14 days in stainless steel, this is a crisply fresh white with flavours of pear, apple and green tea. 89. Township 7 Sauvignon Blanc 2013 ($19.99 for 738 cases). This is the crisp herbal Sancerre style of this varietal. It begins with aromas of citrus, gooseberries and spice. On the palate, there are flavours of grapefruit and grapefruit zest, apple and sage. 90. Township 7 Gewürztraminer 2013 ($19.99 for 158 cases). The wine begins with an alluring aroma of sage and spice, leading to elegant and concentrated flavours of lime and grapefruit. The touch of residual sugar lifts the fruit and fills out the texture while the fresh acidity balances the wine. The finish is dry and refreshing and the spice lingers ever so long. 92. Township 7 Chardonnay 2012 ($20.99 for 328 cases). A gold medal winner at the All Canadian Wine Awards, this wine begins with toasty and buttery aromas of apples. The wine clearly has been aged in good oak barrels. The citrus and pear flavours mingle with toffee and a hint of fig on the finish. 90. Township 7 Reserve Chardonnay 2012 ($25.99 for 58 cases). This is a bit more of everything compared with the regular Chardonnay. The wine was aged 16 months in French oak and went through malolactic fermentation. The wine has a rich buttery texture, with aromas of fig and caramel and with flavours of orange and baked apple. The toastiness of the oak gives the wine a smoky note on the finish. This would be an interesting wine to age if the closure were real cork, not synthetic. 90-91. Township 7 Rosé 2013 ($16.99 for 128 cases). The winery set out to make a dry Provence style rosé, starting with a light hue. The surprise is the varietal mix here: Chardonnay 60%, Gewürztraminer 20%, Pinot Gris 14.5% and Merlot 5.5%. The wine begins with aromas of strawberry, leading to flavours of strawberry and cantaloupe. The texture is fuller than the hue suggests. The finish is dry, with a hint of cranberry. 89. Township 7 Cabernet Sauvignon 2011 ($26.99 for 518 cases). The grapes for this wine, which also has 15% Merlot in the blend, came from the Blue Terrace Vineyard at Oliver. The wine, which was aged 28 months in French and American oak, begins with a dark hue and with aromas of vanilla and black currant. On the palate, there are flavours of currants, black cherries, black olives and coffee. The finish is persistent. The firm texture – the winery calls this “robust tannins” – suggest this cork-finished wine will benefit from cellaring another six or seven years. The wine is unfiltered and decanting is recommended. 90.